Solar Christmas Lights, Outdoor Lights All Year! Want UK Solar Christmas Lights that Work Longer? Welcome to the Next Generation of Solar Powered Christmas Lights. Xmas Lights Designed for the UK Outdoors, from PowerBee Endurance ® Outdoor Fairy Lights, to our Saturn Solar Powered Garden and Wall Lights, Add Solar Lights to Your Garden this Xmas time that actually Work! 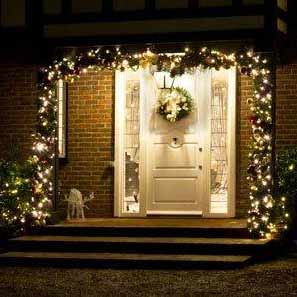 Choose The Best Outdoor LED Christmas Lights !! !